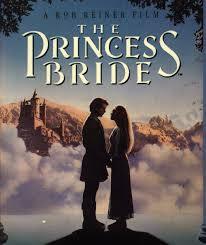 Book Vs Movie Podcast: Book Vs Movie "The Princess Bride"
Inconceivable! The Margos decided to redo a Book Vs. Movie podcast ep by taking on one more time (and even better) the book/movie The Princess Bride. We are always surprised to find that our listeners did not realize that beloved classic movie was at one time a book. And that said book is very meta and multi-layered. Spoiler--we love BOTH of the versions of The Princess Bride and are so excited to be able to talk about it all once again!